(MENAFN - The Conversation) If you take an interest in ethical consumerism and plan to treat someone special this February 14, what dilemmas lie ahead? You might already be conscious of getting child labour and slave-free chocolate, a recycled card, even fair trade gold , and perhaps vintage or conflict-free diamonds if it's a very special year. But what about your flowers? This year one of us (Jill Timms) will spend her Valentine's Day looking at sustainable supply chains in Lake Naivasha, Kenya, where hundreds of flower workers will be recovering from their busiest time of year. Across the world, 250m rose stems will be produced for the day. Of those exported to the EU, 38% are from Kenya, where flower export values have trebled this decade. 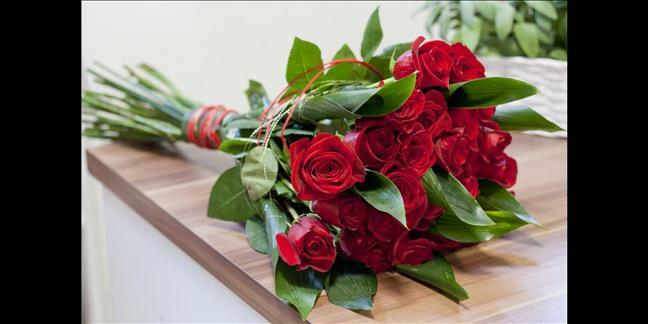 Governments in Ethiopia, Tanzania and more recently Uganda and Rwanda, are also pursuing expansion, with flowers now accounting for 10% of East African exports . That part of the world has a natural abundance of heat and space, and lots of available cheap labour. Flowers could help the regional economy to 'bloom'. However, there are significant social and environmental challenges, such as the massive population growth around Lake Naivasha which contributes to pollution and has helped cut the lake's volume in half . Geography matters. Some flowers travel by sea, some cargo plane and others in the hold of passenger jets, all with very different carbon footprints. For instance more than 90% of UK flowers are imported, mostly from the Netherlands, although Kenya and Columbia are increasingly important suppliers . Chemical sprays freeze flowers to extend life, and they often travel via the Dutch flower hub. Historically the Netherlands has been the industry powerhouse, but now works hard to retain this in the face of direct supermarket buying, growth in Chinese, East African and South American production, and criticism of the extra 'flower miles' involved in transporting via Holland. So provenance is important, but you may struggle to know this. Flowers are not always labelled, labels don't always specify origin or may list the Netherlands if bought at auction, and bouquets include flowers from multiple sources. Even when the origin is known, things can still be unclear as sustainability issues vary widely by country and flower. In response to ethical concerns, 'certification' schemes are becoming more common. Yet we find consumers, florists and even wholesalers are often unaware or misunderstand these, with Fairtrade still being the only one with wider recognition. We are working with bodies including the British Florist Association to educate florists about standards, and wholesalers like Fleurmetz to review how certification can be more visible. You can help by asking your florist if their flowers are certified. If they don't know, ask to see delivery boxes. In the UK, about 60% of flowers are bought from supermarkets, with the rest mostly from florists. Supermarkets have their pros and cons. Flowers tend to be better labelled, and they are more likely to cut out the auctions and buy direct from growers, which assures provenance and means they can influence standards. However the supermarkets might not share this information, and their demands on price, volume and the short time from field to market can put inordinate pressure on farms . In contrast, the demise of the high street, Brexit uncertainty and increased online and supermarket competition, has led to ' support your local florist ' campaigns. Interestingly, some florists have responded by using sustainability as a selling point . Certifications can help you support farms that claim good practice, but could your purchase also promote development – a familiar argument for global trade? Of course it depends how it is done. For example, the Ethiopian government attracted lots of foreign investment in flower farming. However, incentives included controversial land use agreements that led to civil unrest in 2016, with several foreign-owned flower farms badly damaged or burnt to the ground . Accordingly you might choose locally-grown seasonal or organic flowers, or seek growers who support community development or rights for women workers . Eco-florists such as Wild and Wondrous are raising awareness of alternative practices. Take in your own vase to avoid cellophane packaging or ask for reusable and recycled options like StemGem . When presenting your blooms, take inspiration from the #nofloralfoam campaign. Treat your flowers well by refreshing water and trimming, keep them out of heat and sunlight, then recycle as green waste to make their journey worthwhile. St Valentine's is a day to express our love, so demonstrate yours for people and planet. The supply chains are complex, but our simple advice is to ask questions.